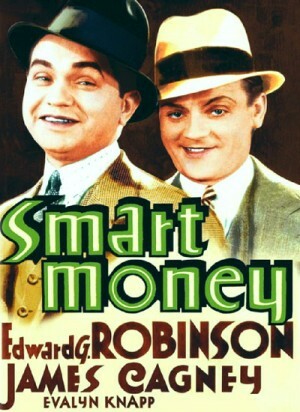 Smart Money was the one and only time Edward G. Robinson and James Cagney appeared in a movie together. After being cheated by big-city criminals, small-town Greek barber Nick Venezelos (Edward G. Robinson) lives up to his lucky reputation by returning to beat the criminals. With his winnings, Nick repays the townspeople who loaned him money, then opens a gambling parlor, using his barbershop as a front. Despite Nick's honestly conducted game, the district attorney schemes to shut him down, playing on both his weakness for beautiful blondes and the decency of his best friend, Jack (James Cagney). -- Musical Short "George Jessel and His Russian Art Choir" and "The Smart Set-Up"
-- Classic Cartoon "Big Man from the North"
-- Trailer of "Other Men's Women"